Your generous wedding gift allows us to enjoy and explore the tropical wonders of the Indian Ocean on our honeymoon. We will choose from an array of water sports, including dolphin-watching expeditions, catamaran cruises, parasailing, water-skiing, wakeboarding, kayaking and more. 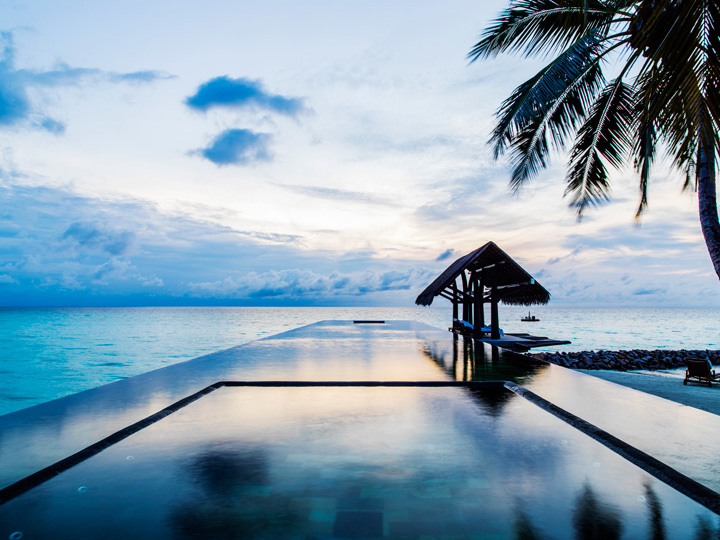 In paradise we will explore the amazing surroundings of the Maldives. 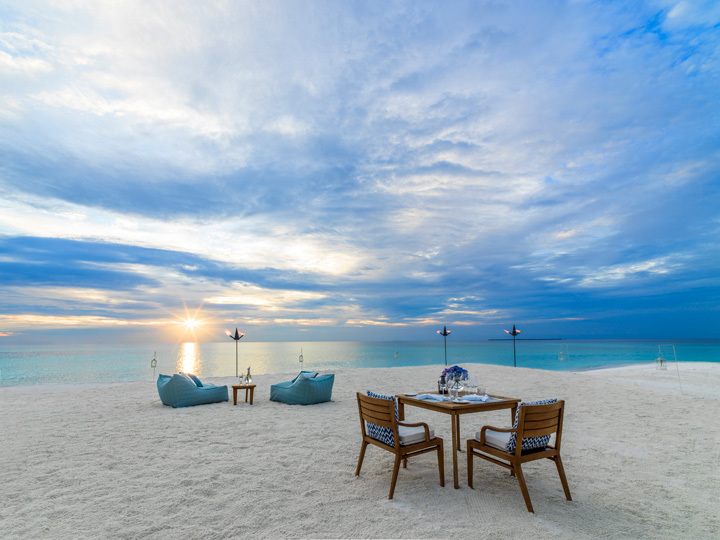 The Sunset Sandbank Experience will be a wonderful wedding gift for our honeymoon at One&Only Reethi Rah. 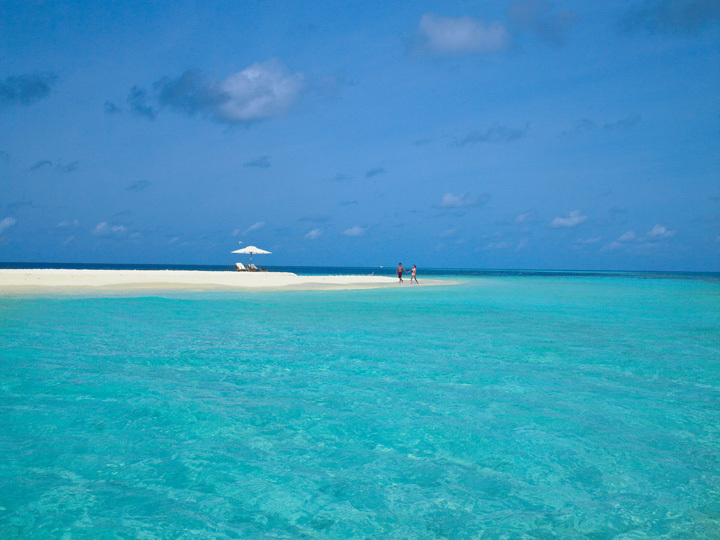 We will visit a private deserted island surrounded by crystalline waters and the coral reefs of the Indian Ocean. While snorkeling we will discover an underwater world of majestic beauty featuring an array of tropical fish, manta rays, turtles and other amazing types of marine life. After our snorkel excursion, we will indulge in a refreshing drink and a delightful snack before sunbathing and admiring a stunning sunset. 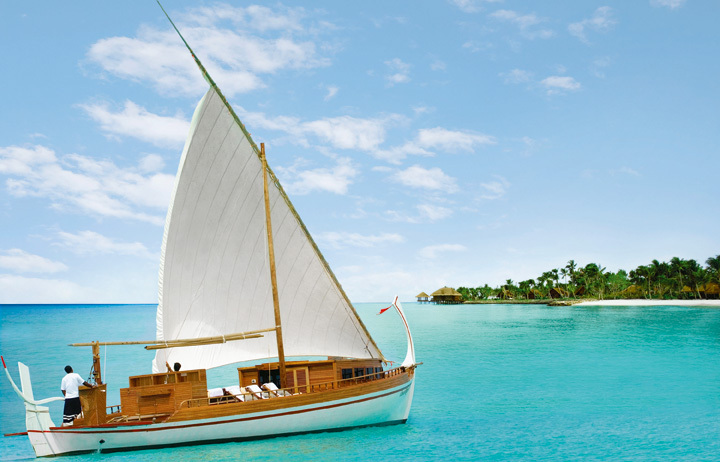 Our honeymoon at One&Only Reethi Rah promises us an exciting adventure with the Sunset Champagne Cruise. Just before evening, we will cruise through the clear waters of the Indian Ocean and enjoy the mesmerizing scenery along with a glass of champagne. We will sit back, relax and take in the surrounding beauty of the islands and witness the sun sinking below the sparkling water’s horizon. Together we will enjoy diving and snorkeling on our honeymoon in paradise. 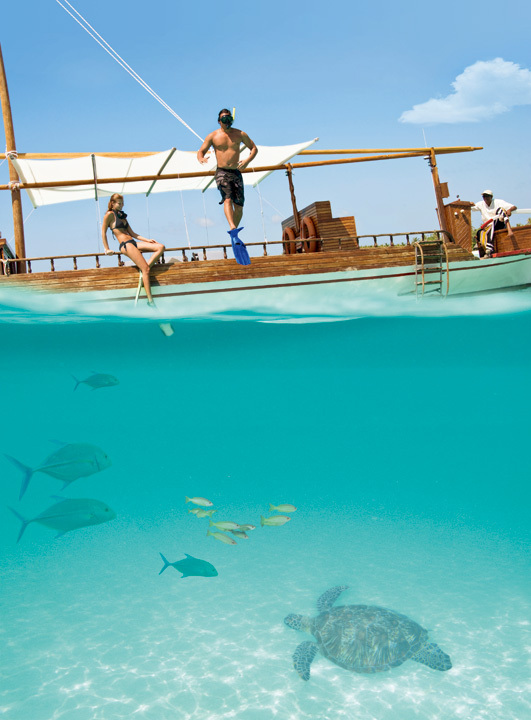 The Maldives is the perfect place to snorkel, dive or learn how to dive. At the One&Only Reethi Rah Dive Center, a team of experts offer a wide range of PADI-certified dive programs. Within a short distance are some of the best sites in the Maldives, as well as the 1988 wreck of the Hembadu, the Rasfari Protected Marine Area and some amazing turtle and manta ray viewing. 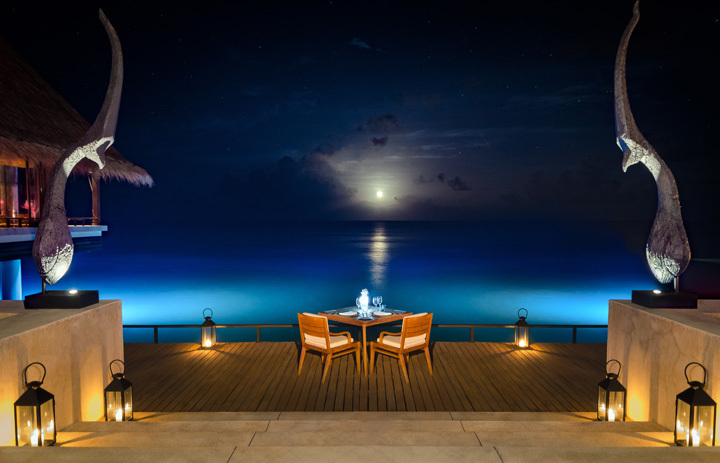 At One&Only Reethi Rah we will tantalize our palate in a temple of exquisite dining for breakfast, lunch and dinner. 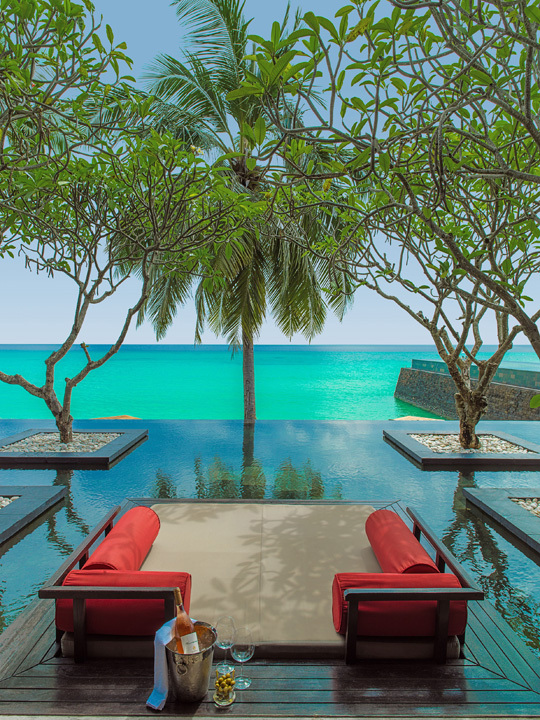 Reethi Rah Restaurant boasts dramatic design enhancing the surrounding natural beauty of paradise. With exquisite cuisine, impeccable service and an enchanting ambiance, we will choose from a menu featuring flavors from Asia Pacific and the Mediterranean. We will be entertained with the show kitchen or discover the exclusivity of the wine room boasting an extensive collection of wines. On our romantic honeymoon we will enjoy dining in the serenity of our villa. An extensive villa dining menu is available 24-hours a day and includes personal beach barbeques. 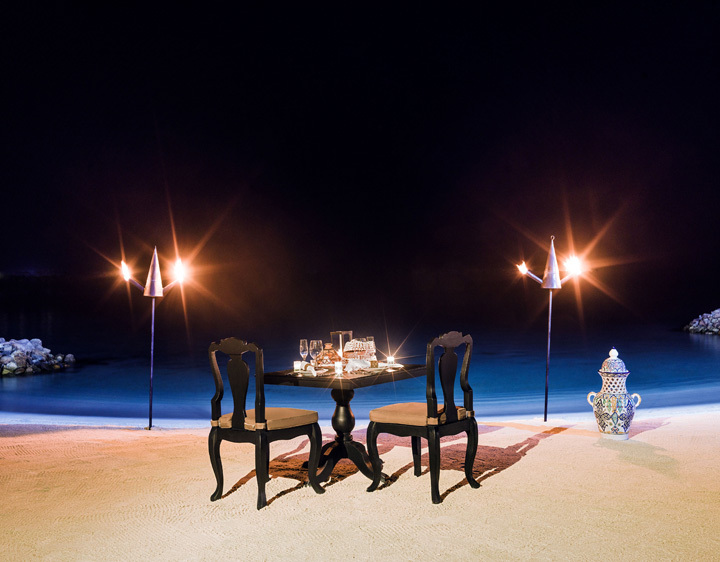 Villa Chefs are on call to create an exquisite dining indulgence for us to enjoy in the intimacy of our honeymoon haven. 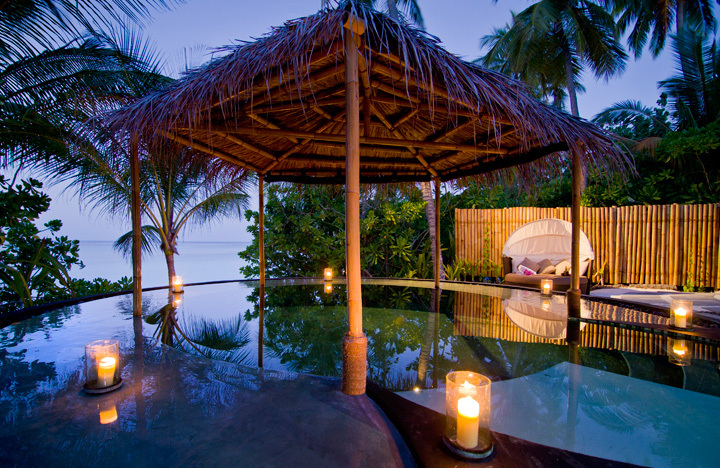 In paradise on our honeymoon we will sit back and relax in the charming atmosphere of the bars at One&Only Reethi Rah. From the tropical concoctions, sumptuous snacks and enticing appetizers served at the poolside Rah Bar, to an abundance of fine wines at the Wine Cellar, we will celebrate our new lives together with our favorite drinks and delights. Together we will enjoy dinner at Tapasake, an over-water restaurant blending stunning sunset views with modern Japanese cuisine. The chef hand-selects the freshest and finest of ingredients ensuring sushi and sashimi meet the highest standards possible. In stylish, contemporary settings we will choose from a menu of succulent fish and seafood fresh from the Indian Ocean, transformed into Indian-Japanese tapas. Thanks to your generous wedding gift, we will indulge in a tantalizing dining experience enhanced by a selection of premium Sakes and wine lists. Your lovely wedding gift allows us the opportunity to dine in the majestic settings of Fanditha. Boasting divan-bolsters and Arabian carpets in the sand, we will dine in this exotic seaside spot while choosing from a menu of a la carte Mediterranean cuisine accompanied by the finest selection of chilled roses and champagnes. In the lounge area, we will sit back and relax on bamboo loungers or in woven hammocks while being entertained by a live DJ as we take delight in a round of our favorite drinks. 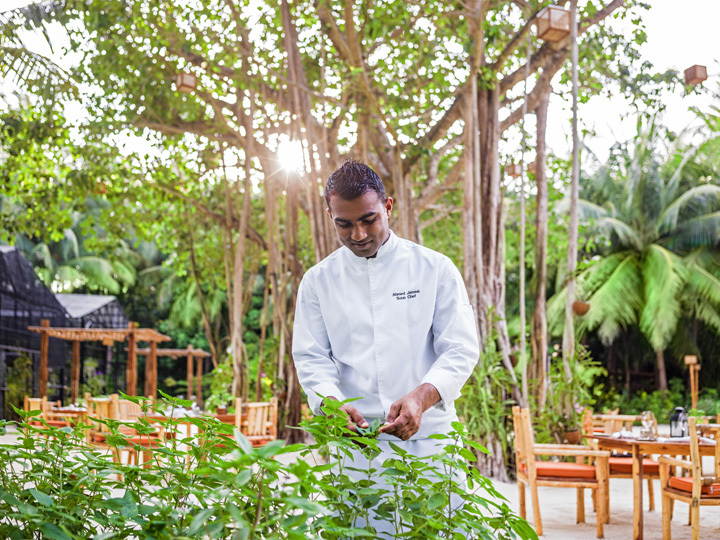 One&Only Reethi Rah presents an intimate venue where we will dine in the seclusion of the Chef’s garden. We will choose from a menu featuring dishes prepared with organic food and fresh, local seafood. Amidst tranquil surroundings, we will tantalize our taste buds while discovering a unique culinary experience in paradise. On our romantic honeymoon in paradise we will discover the ultimate escape. 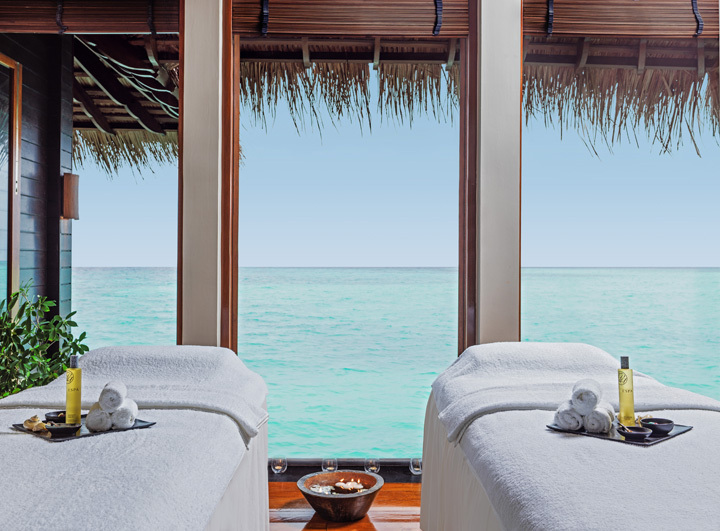 At One&Only Reethi Rah we will experience exclusive services and endless amenities. We will savor the fresh flavors of paradise with an array of dining options. We will celebrate with a round of our favorite drinks while being entertained by live music. 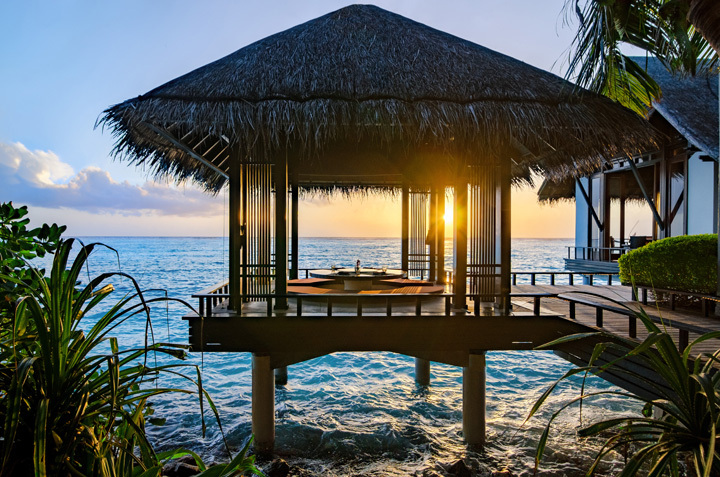 We will drift into a world of romantic bliss with a soothing spa treatment for two or embark on an exciting adventure with one of the many activities available. 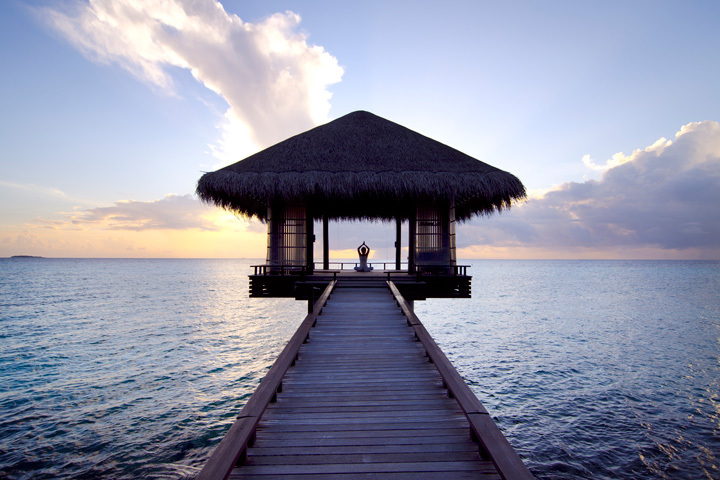 One&Only Reethi Rah promises us an exotic honeymoon oasis drenched in tropical luxuries! 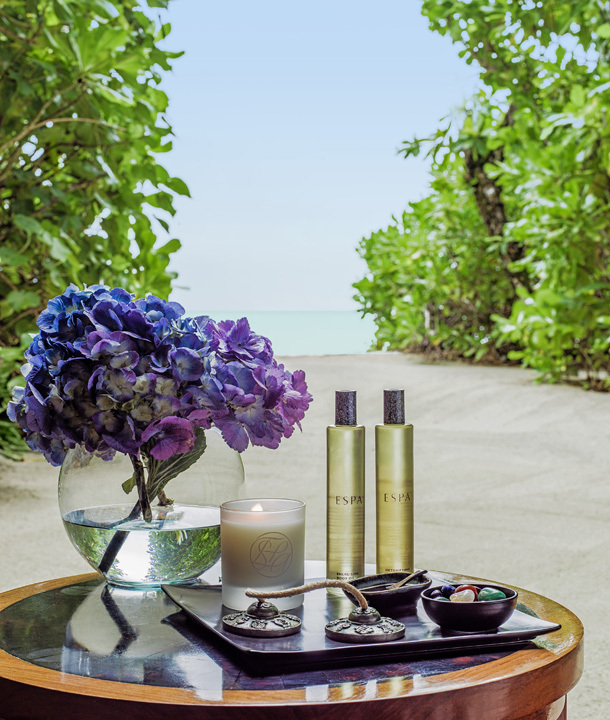 One&Only Reethi Rah promises us an indulgent experience at the spa on our romantic honeymoon. In the tranquil settings of the spa, we will indulge in massage therapies ranging from deep tissue, hot stone and aromatherapy to massages with Ayurvedic and eastern influences. 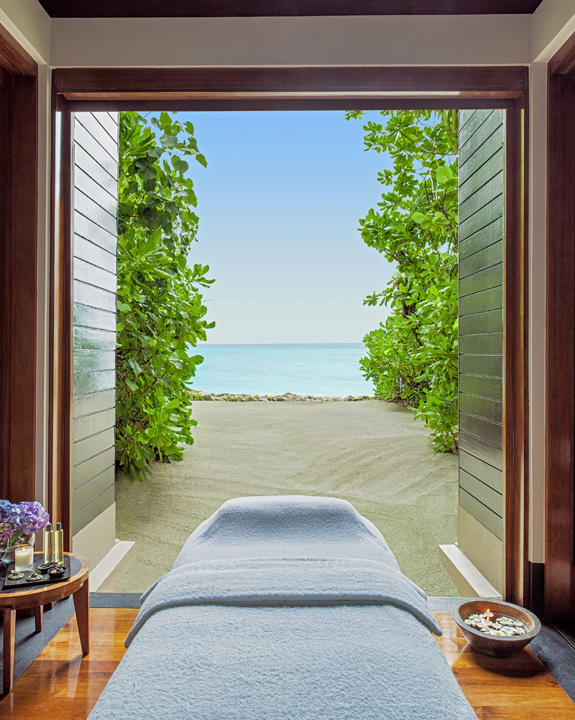 Each natural and healing massage therapy includes an ocean-side bath and a steam room for two. On our exotic honeymoon in paradise we will unwind, restore and indulge in our desired signature experience at One&Only Spa. In an enchanted setting, we will embark on a journey of wellness with one of the therapeutic rituals combining exfoliations, nourishing wraps and soothing massages. Designed to nurture and rebalance the mind, body and spirit, these signature experiences will ease tension and stress. In the serenity of the spa we will take delight in an array of refreshing facials. The facials at One&Only Spa begin with a detailed consultation and an in-depth skin analysis so our desired facial is specially tailored to our individual needs. From age defying and rebalancing, to calming and regenerating facials, we will be pampered with a cleansing, an exfoliation, a steam and extraction, followed by a massage and mask to enhance the skin’s natural appearance. The body treatments at One&Only Spa will transport us into a world of peace and calm. Customized treatments based on Ayurvedic traditions infused with western luxuries will balance and restore the mind, body and soul. Our body therapy will begin with a cleansing foot ritual followed by the treatment of our choice leaving us in a blissful state! In a beautifully decorated setting with a backdrop of endless exotic beauty, we will exchange our vows in the company of our family and friends. One&Only Reethi Rah will ensure that our special day is perfect in every way with creative, individual attention paid to each detail. With your lovely wedding gift, our beloved day will be just as timeless and enchanting as we imagined!